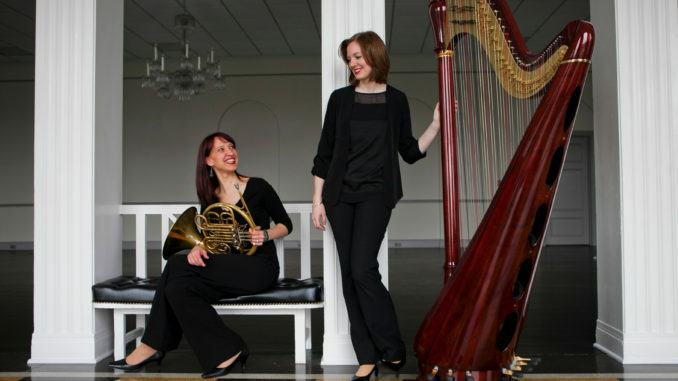 Join us on Friday, September 29, at 7:30 p.m. in Turner Auditorium for the Apple Orange Pair, with Emily Boyer on french horn and Colleen Potter Thorburn on harp. The duo began performing together in 2010, and have premiered 14 new works by emerging composers. They have featured these new works on their debut album, “Seeds”. This concert is sponsored by the Friends of Music, and is free and open to the public.